It also needed an additional 800 litres (210 gallons) of oil, having reduced by around an inch. 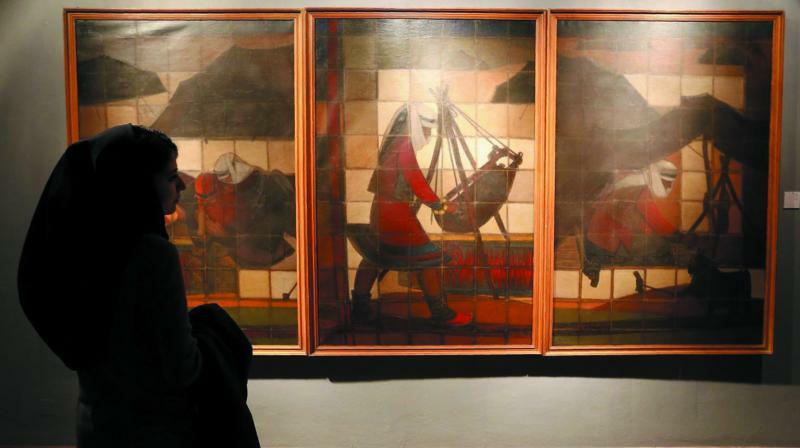 Exhibits at the Museum of Contemporary Art opened in central Tehran. Forty years after his “oil pool” sculpture became the centrepiece of Tehran’s first-ever modern art museum, its Japanese creator returned for its restoration Saturday to find a place “frozen in time”. 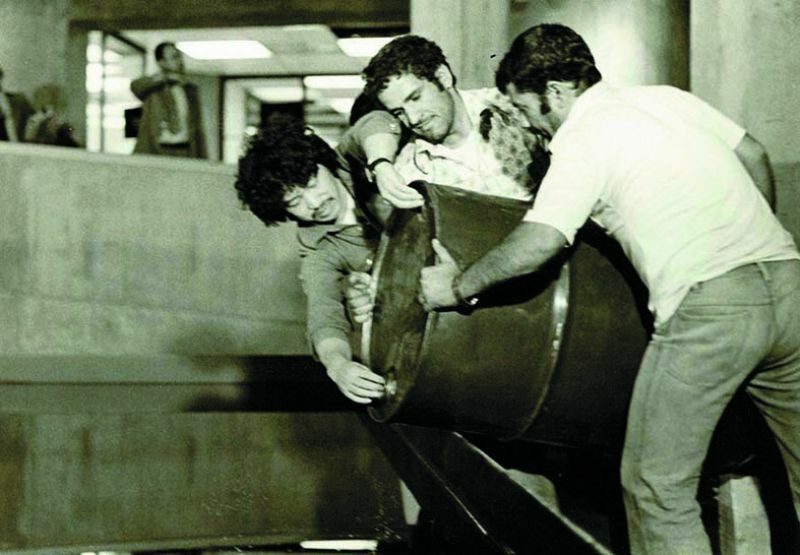 When the Museum of Contemporary Art opened in central Tehran in 1977, just two years before the Islamic revolution, the country’s cultural scene was flush with royal patronage. Queen Farah was determined to make Iran a global centre of the arts and gathered masterpieces by the likes of Pablo Picasso, Joan Miro and Andy Warhol — a collection now valued in the hundreds of millions of dollars. She commissioned Noriyuki Haraguchi for the focal point at the foot of the museum’s spiral stairway: a large rectangle of thick waste oil that looks like brightly polished black stone. When Farah’s husband, the late Shah Mohammad Reza Pahlavi, saw it for the first time, he did not believe it was liquid and ended up with his hand covered in oil. “It was very interesting for me to see my work again here, 40 years later, still standing intact. I was really surprised,” Haraguchi, 71, told reporters on Saturday. “I have made about 20 of these oil pools around the world and there is only one place where it has remained intact like this, and that is here,” he said, adding that others are now in museum archives. Noriyuki Haraguchi installing Oil Pool at the museum. put back on display occasionally in recent years. Restoring the oil pool meant fishing out hundreds of items dropped into it over the years, mostly coins. There have been accidents, such as when a foreign musician was due to perform next to the pool but mistook its oily surface for a platform and stepped right inside, museum spokesman Hassan Noferesti told “For 40 years the staff and visitors have seen this artwork here everyday. It has become woven into the museum’s flesh and blood,” said its director Ali Mohammad Zare. The pool measures 6.4 by 4.2 metres (21 by 14 foot) , and is 18 centimetres deep, containing over 4,500 litres of waste oil. Though known as the “oil pool” in Farsi, its official name is “Matter and Mind”. Asked about the meaning of his work, Haraguchi said it was simply a way of connecting people. “Art should be free, and through art people can communicate, which is the most important thing and the reason why I’m sitting here now,” he said, adding he hoped to one day create new works in Iran.